Choose from a wide variety of Konica Minolta printers that are designed specifically to meet your needs. Whether you’re looking for an office printer or a personal printer, Konica Minolta has it all. An elegant design, fantastic print quality and networking capabilities are just a few of the fantastic features that Konica printers have to offer. 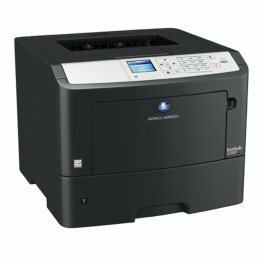 The Konica Minolta 3100 is a suitable printer for small and medium sized workgroups. You can print in color at a speed of 32 pages per minute with a high resolution of 1200 dpi. 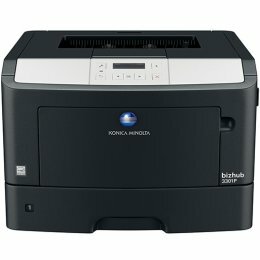 With the Konica C3100 you can print directly from a USB at a low cost per print. The Minolta C3100P is a compact design measuring only 446.5mm x 544mm. The Bizhub 4000P has a fast warm up and first copy output time of only 6.5 seconds. Print in black and white with a high resolution of 1200 x 1200 dpi with the Konica Minolta 4000 to enjoy clear, crisp image output. Replacing the toner and changing paper has never been easier, the Konica 4000P includes a convenient front access to save you time. The quiet mode feature on the 4000P will prevent noise disturbances in your office. 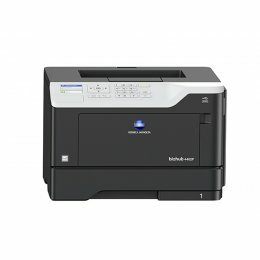 The Konica 4700P Printer is easy to work with because it includes a 2.4 inch color LCD display and animated navigation. It will hold up to 2300 sheets of paper measuring 11" x 14". 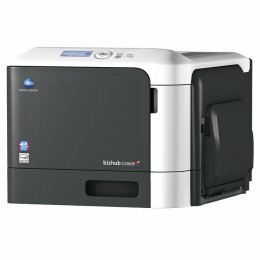 The 4700P will print automatic duplex prints in black and white. Print directly from your USB at a fast speed of 47 pages per minute with the Minolta 4700P. The Bizhub 3300P is a small, compact printer suitable for use on the desktop as it weighs only 14 kg. It can hold up to 850 sheets of paper between the sizes of A6 and A4. An additional feature of the 3300P is its ability to print automatic duplex prints. Print in black and white at a speed of 35 pages per minute and a resolution of 1200 x 1200 dpi with the Minolta 3300 Printer. 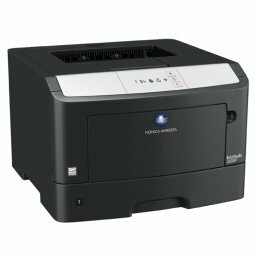 The Bizhub 3301P is a single function desktop printer that delivers black and white prints at a fast speed of 35 ppm. With its standard auto duplex, a high resolution and a maximum paper capacity of 850 sheets, the Konica 3301P far exceeds the average desktop printer. The 3301P features an Eco Mode to minimize power consumption and an auto blank page removal to save paper. The BIZ3301P is an ideal choice for small businesses with large workloads. 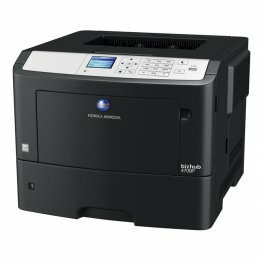 The Konica Minolta Bizhub 4402P Printer is a compact and powerful monochrome laser printer that will deliver high resolution prints in as fast as 44 pages per minute. Offering standard duplex printing, mobile printing, wireless connectivity and versatile paper management, the Bizhub 4402P is a perfect solution for any demanding work environment. Konica Minolta Printers enable you to print professional images with fast print speeds. You’ll find lots of features to help your business run more efficiently and productively on these printers.